1.Very few components make it easy and fast to erect. Props, timber beam H20, tripod and head jack are the main components. 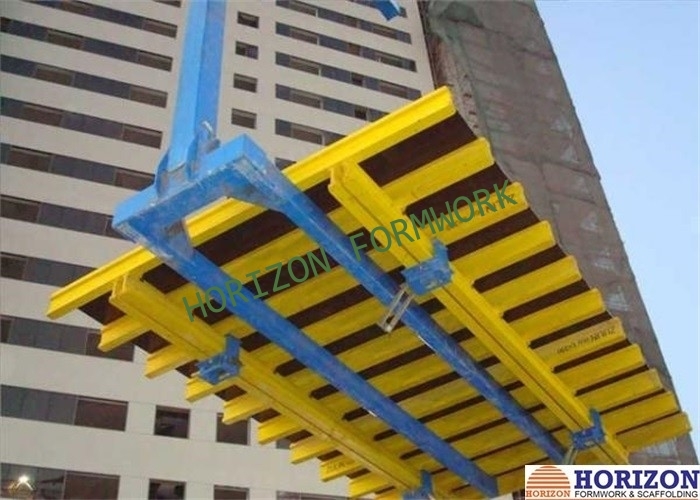 2.As a quite flexible slab formwork system, Flex-H20 slab formwork can fit various floor layouts. It also can be used for different floor height combing with other shoring systems. 3.Perimeter and shaft protection with handrails. 4. Can match well with doka and peri formwork systems.